Scrolling through hair colorist Christine Silverman's Instagram is a master class in quintessential Los Angeles hair — summery, sun-kissed, laid-back waves, with effortless, natural hues. Think #blondebalayage and #blondespecialist, with the occasional pop of Crayola blue, bright white, or neon yellow, for good, edgy measure. 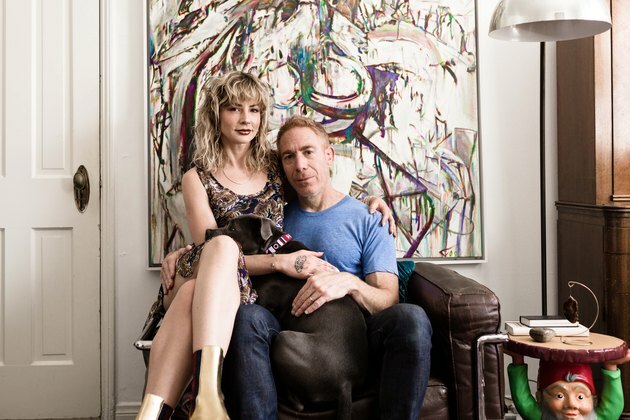 When Silverman's not at her chair at the internet-famous Ramirez Tran salon in Beverly Hills, she's nearby, at home with her husband, Phil, an artist, and their pit bull rescue Ryker, surrounded by an eclectic mix of collectibles, antiques, and art, all with personal connections. Silverman first spotted her apartment — a classic 1940s Spanish just around the corner from the salon — when she used to park on the street. 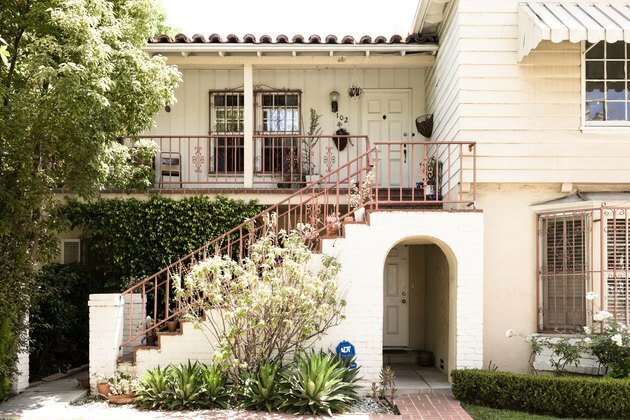 When it came on the market seven years ago, she pounced, charmed by all the original details that come with older L.A. buildings. Since then, she's filled it with an edgy, somewhat whimsical array of decor. 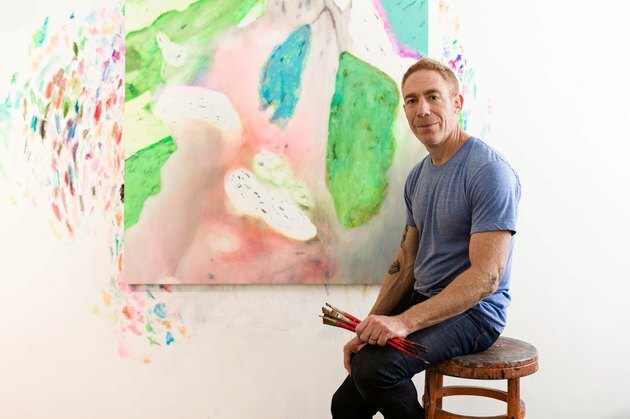 "I am an avid collector and I love antiques and art of all kinds," says Silverman. 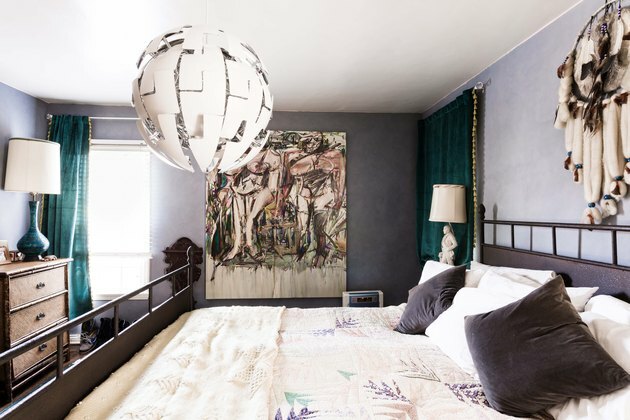 In her bedroom hangs one of her favorite pieces by Phil, of two de Kooning-style women, as well as a hand-painted antique Indian dresser. "The animals and stories on it are so beautiful and intricately done," she explains. Animals are a recurring theme — as are ships and the sea. And somehow, with her artist-trained eye (Silverman went to art school in Chicago before coming to Los Angeles) it all works. The through line? 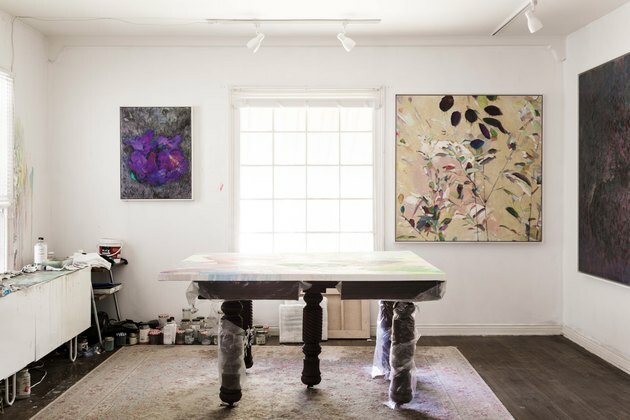 "Every object has been either given to us by dear artist friends or picked out for beauty and function," she says. Silverman's husband, Phil, is a painter and psychotherapist in training. 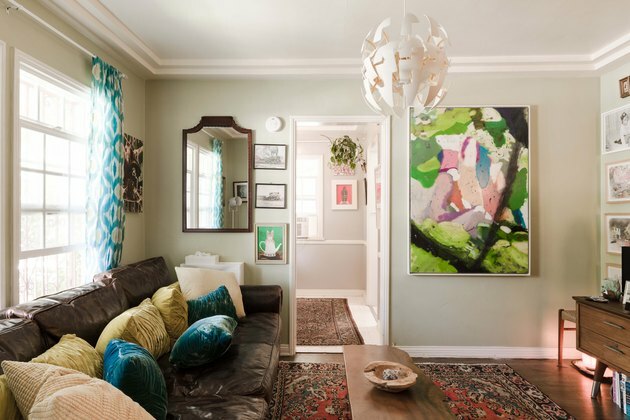 His paintings hang prominently throughout the home. Phil's studio is in what once was the living room. The wide-ranging elements in Silverman's home come from disparate sources — hand-me-downs, Restoration Hardware, antique stores, online. "Some I literally found on the street," she says. The model ship was a gift from Silverman's father. "It's a great conversation piece," she says. 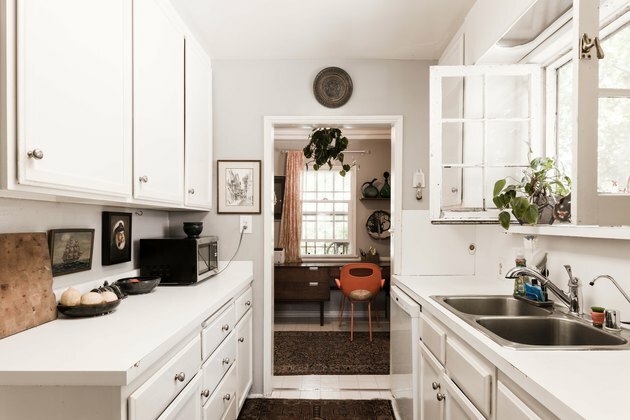 The maritime theme continues in the simple, '40s-era kitchen, with antique paintings of a bearded captain and a fully rigged ship. 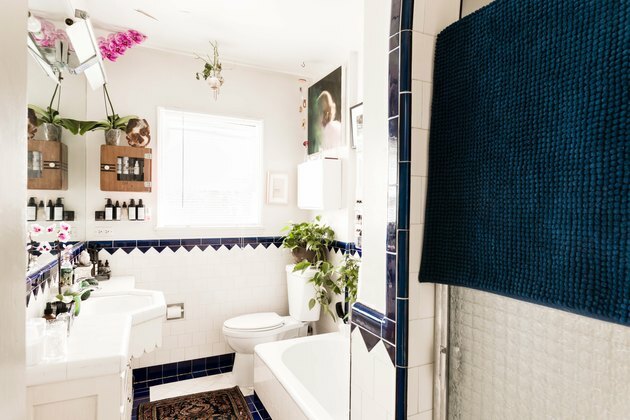 Original details continue in the bathroom, as does Silverman's signature maximalist style thanks to an array of plants, knick-knacks, wall hangings, and beauty products. 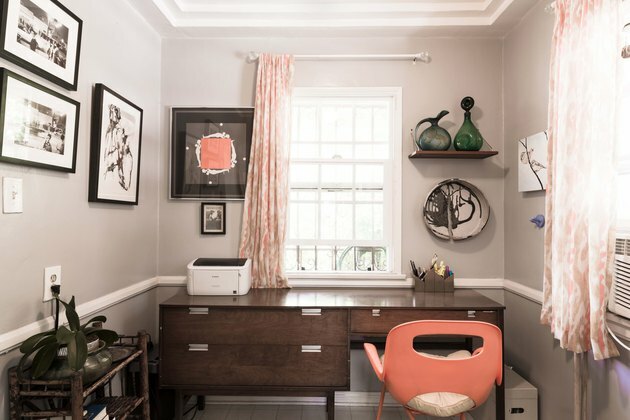 The office is home to prints and pieces from previous chapters in the couple's life: Phil's black-and-white prints by Ed Culver, a Los Angeles photographer; framed pieces from Silverman's friends in Chicago; and a beloved print, with a pop of orange, that Silverman was gifted by her mom. Silverman calls her design aesthetic "a hodgepodge of so many random objects that I've acquired due to a strong attraction." Her husband calls the overall effect Silverman's "hobbit hole." "I think that is a pretty accurate description," she confirms.